Hugh Jackman is back and as ripped as ever. When you see that this guy can sing and dance (Broadway) and truly act (non action films), you realise he is quite the talented gentleman. There is more to Wolverine than meets the eye. As another in the series of movies about various Marvel comic book characters, this one is okay. And I'm saying, "Just okay." For some odd reason, the ending is somewhat unsatisfactory. I found it to be muddled and didn't quite tie the loose ends together for what one would hope would be the big finish. Up to that point, the movie was holding my interest and seemed to be fairly decent but then in the last ten minutes, the entire story ran out of steam. How unfortunate. Like the spate of recent superhero movies which seem to be darker with more angst such as Batman or Superman, this Wolverine is also deeply troubled and trying to figure things out. Christopher Nolan set the bar with The Dark Knight and subsequent superhero scripts seem to be trying to present more meat and potatoes. Is it just me or do all these troubled heroes with their showdown with destiny and evil end up doing so in the rain? Superheroes never use an umbrella. According to my research, the film was originally shot in 2D then converted to 3D in post-production. Curious about how that is done, I looked it up. Certainly I'm not much more informed reading all sorts of technical jargon like disparity depth cue, depth budget, and depth maps, but I did see that such a conversion apparently costs from $50,000 to $100,000 per minute. Roughly speaking, that means this 126 minute film would have been converted for six to twelve million dollars. The real question is whether or not the final results are worth it. Critics like Roger Ebert qualify 3D as a gimmick which distracts from the film. Supposedly filmmakers like Christopher Nolan concur. Some of the more technical critics go through an analysis of the conversion process and lay out point by point why it is inferior to true 3D filming which uses 2 cameras. Is any of this true? Does it come down to personal taste? Whatever the case, film studios are responding to the market, that is us, and offering up 3D as the new super duper ultra special enhanced movie going experience. And I might add, for a slightly higher ticket price. You didn't think you would get this for free, did you? What do I think? I shrug my shoulders. I can't say that I'm watching anything in 3D and constantly saying to myself, "Wow. This is unbelievable." I wonder if I need to see 2D and 3D side-by-side to truly judge the difference and whether the quality of the experience has gone up. When HD TV first came in, I had the same impression. It wasn't until I changed the channel back to a non HD station that I could easily see how the HD image was so much sharper. So, for me, the jury is still out on 3D. Personally if the story is good and the characters are interesting, 3D has little to do with my overall satisfaction in the film. Do not... I repeat do NOT get up when the credits start. Are you people ever going to learn? Moviemakers have started inserting stuff into the credits and especially with the Marvel characters; they give us teasers of upcoming productions. You get up to avoid having to sit through the credits and you keep missing things! This film is no exception. It's a Marvel Comics character. This is action adventure with special effects. The story does have a darkness and a richness of character which lends some weight to the proceedings but the ending doesn't quite live up to the quality of the first part of the film. As I said, overall this is an okay film. Would I recommend forking over the movie to see it at the theatre? I'd have to say, "No." Wait until it comes out on TV. It may be worth a look but remember that it is merely an okay film. There are other choices which would see you better spending 126 minutes of your life. 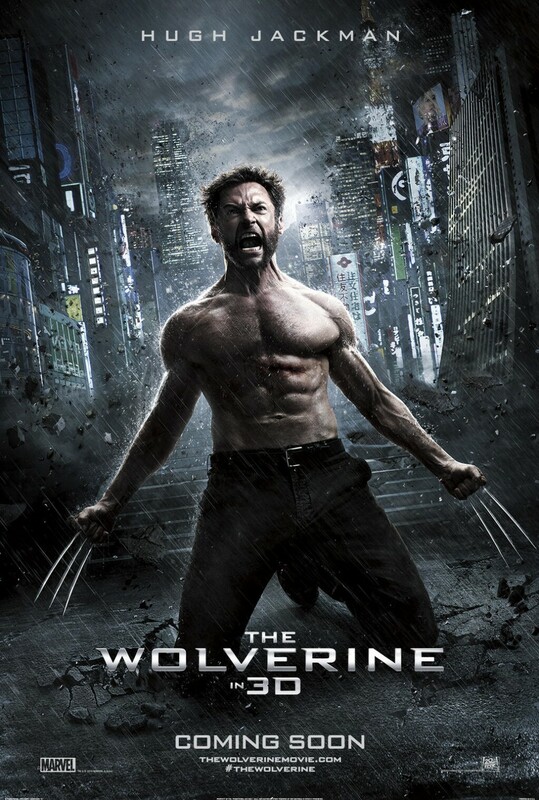 The Wolverine is a 2013 American-Australian superhero film featuring the Marvel Comics character Wolverine. It is the sixth installment in the X-Men film series and follows the events of X-Men: The Last Stand (2006). 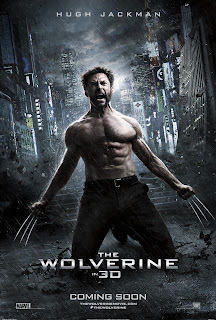 Hugh Jackman reprises his role from previous films as the title character, with James Mangold directing a screenplay written by Christopher McQuarrie, Scott Frank, and Mark Bomback, based on the 1982 limited series Wolverine by Chris Claremont and Frank Miller.